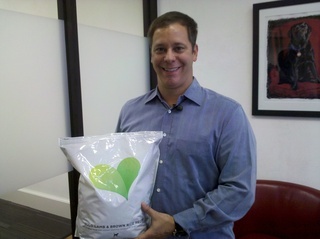 Michael Landa, CEO of Austin-based pet food company, Nulo. Pet owners, do you really know what is in the food you feed your cat or dog? A new pet food company has opened up in Austin and its owner hopes to educate pet owners about the importance of good nutrition. "I think if consumers would turn their bag of food over and read even the first three to four ingredients you could tell a lot about the food," said Michael Landa, CEO of Nulo . 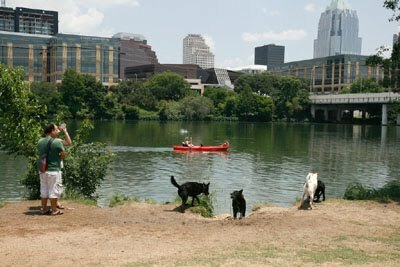 Ingredients like wheat, corn and gluten led Landa to start an Austin-based pet food company called Nulo. "We discovered the food being served to our cats and dogs is the nutritional equivalent of fast food," said Landa. His goal was to create a wholesome pet food where the top ingredients were meats and rice -- something he wasn't finding in a lot of store-bought food. "If we just look for things like corn, by-products, glutens, these never should be the first three ingredients you see in a pet food," said Landa. Landa showed several examples of top-selling dog and cat foods that lists these items as top ingredients. "Just like people you want to make sure the first several ingredients are some sort of good protein source and good starch," said Dr. Erin Homberg, Austin veterinarian . However, she said owners don't need to throw out current pet food if it has wheat, corn, or gluten because they aren't necessarily bad for pets unless they are allergic to those items. "There are a lot of foods focusing on more natural organic, wheat-free, gluten-free, that's great for some pets. I just don't think it's necessary for every pet," said Homberg. Homberg agreed with the philosophy of Nulo -- look at the packaging and know what your pet is eating. "Is it chicken, is it beef, is it fish?" said Homberg. "When you start seeing the by-products and meals they are not as good as the plain chicken, beef or fish." And now Austin-based Nulo is a new option as a healthy pet food. Nulo isn't sold in stores. Instead the company delivers the food to your door. They said that's important so the food stays fresh.